"Based on a new starting point, embark on a new journey;To present a new climate and show new responsibilities;Pass positive energy, innovate again brilliancy!" 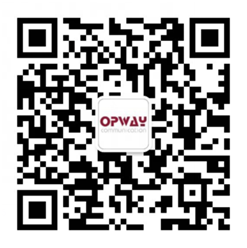 On February 4, 2018, shenzhen Opway Communication Co., LTD held the welcome annual meeting with the theme of "focus on opportunities and work together to create the future". The golden rooster speaks of the old year, the jade dog heralds the spring!General manager Yang of major shareholder tong yutong, Mr. Chen xiang guo, chairman of the company, and Mr. Peng weidong, general manager of the company made important speeches successively. The consensus is that 2017 is a step forward.After becoming the holding subsidiary of tongyu company in May 2017, guangwei carried out its work with the management idea of "managing products, focusing on standards, seizing opportunities and stepping up to the top". It continued to adhere to the market-oriented approach and attached great importance to product and technology innovation.All the successful completion of the annual performance targets tasks (shipping amount exceed 200 million yuan), set up production base in wuhan (has begun to take shape), quality system (ISO9001 system turn, ISO14001 and OSHAS18001) certification through, big customer/OEM OEM breakthrough, high-end product development team (especially 100 g high-end product research and development team) reserve enough...Thanks to the major shareholder tongyu company's help and support, thanks to the company leaders and all the staff of hard dedication! New starting point, new journey, full of opportunities and challenges, in 2018 held the big shareholders to tong yu company for the company's expectations and requirements to light, the light from the clear goals and tasks of 2018, optimize the customer structure, cultivating new growth point, adjust the product structure, to ensure customer requirements, strengthen cost control and so on nine aspects set each task goals, put forward the specific requirements of each department work, make sure 2018 to complete the sales target of $300 million. The task of 2018 is arduous. We should be brave enough to challenge and forge ahead. We should follow the train of thought and concept of various measures and implement them into the practical actions of all members and cultivate more fruitful results with our hard work.Under the leadership of the major shareholders and the board of directors, we stick together and work together to achieve the mission goal of the company in 2018, the vision of the company's three-year planning and the dream of individuals. The annual meeting respectively honored the outstanding employee, excellent team, loyal guard and other teams and individuals.We all enjoyed the wonderful performances organized by people of light, showing people's confidence and good prospects for 2018. Let's focus on seizing opportunities and work together to create the future.Based on a new starting point, embark on a new journey;To present a new climate and show new responsibilities;Pass positive energy, innovate again brilliancy!